Cixin Liu is China's bestselling science fiction author and one of the most important voices in world SF. His novel, The Three-Body Problem , was the first translated work of SF ever to win the Hugo Award. 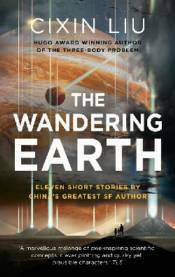 Here is the first collection of his short fiction: eleven stories, including five Chinese Galaxy Award-winners, form a blazingly original ode to planet earth, its pasts and its futures.